Revenue in the Security segment amounts to £5,025m in 2019. Revenue is expected to show an annual growth rate (CAGR 2019-2023) of 14.6%, resulting in a market volume of £8,669m by 2023. 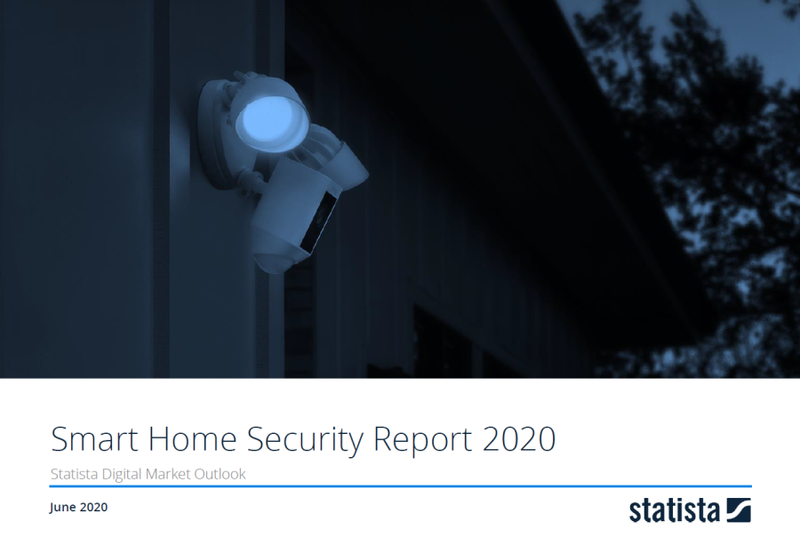 The average revenue per Smart Home in the Security segment currently amounts to £215.59. A global comparison reveals that most revenue is generated in United States (£5,025m in 2019). Reading Support Revenue in the Security segment amounts to £5,025m in 2019. Reading Support The Security segment is expected to show a revenue growth of 16.3% in 2020. Reading Support The average revenue per active household in the Security segment amounts to £215.59 in 2019. Reading Support With a market volume of £5,025m in 2019, most revenue is generated in United States. Reading Support With a rate of 18.3%, the household penetration in the Security segment is highest in United States.